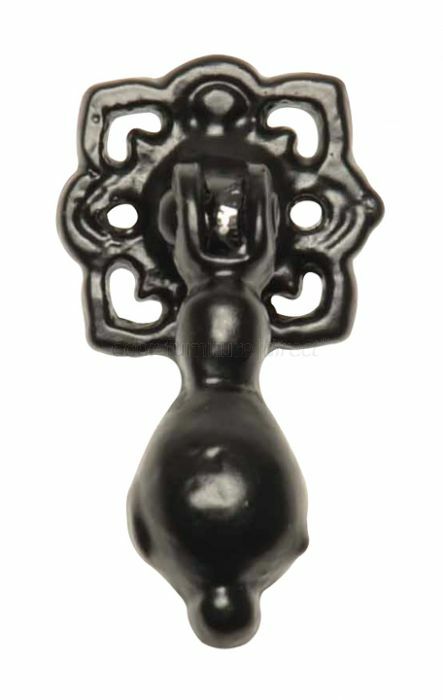 Black antique style drop handle suitable for use on cupboards and drawers. Back plate measures approximately 30x30mm. Supplied complete with screws.